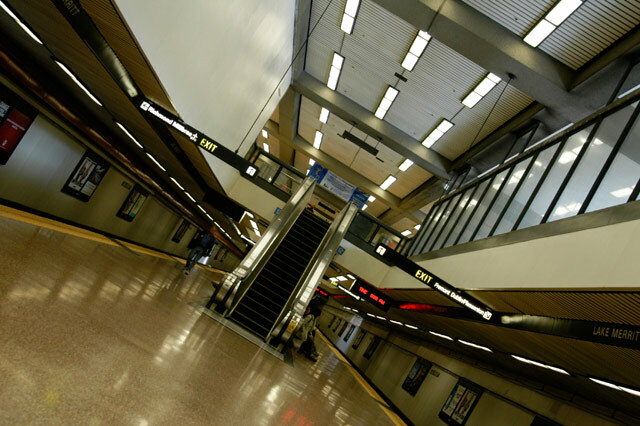 Lake Merritt Station: This is one of the most boring stations in the Universe. I struggle to find SOMETHING to photograph whenever I have to transfer trains at this station. BO-RRRINGGGG.... Funny what a different angle does to a scene.